Friendly and honest, Jacinta prides herself on her professionalism and ability to consistently deliver a very high standard of service. With a background in real estate and hospitality, Jacinta has developed invaluable skills that have helped her to excel in her career. Her keen attention for detail ensures that her clients and co-workers expectations are not only met, but exceeded. Her natural people skills and strong work ethic are a testament to her reputation for providing quality service. Jacinta loves managing property and looks forward to working with her owners and tenants. Outside of the office, Jacinta loves spending her time with Fiancé Tim and daughters Hallie and Peyton. A keen netball player who now coaches upcoming netball stars, Jacinta is well known at the Burnie Netball Centre. A valued member of the Elders Burnie team, Jacinta looks forward to meeting you and assisting with all of your real estate needs. Meet some of Jacinta’s happy clients. Would you like to speak to Jacinta? 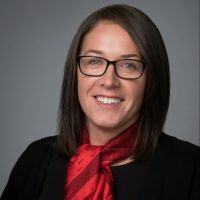 If you’re thinking about renting or selling your property and you’d like a clearer picture of how much your property might be worth or want to have an informal chat about general property market trading conditions, Jacinta will be happy to arrange a full market appraisal of your property.